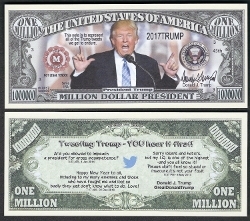 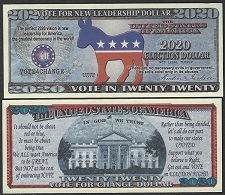 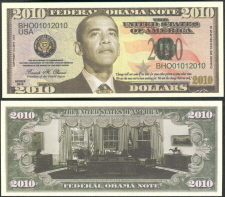 This note serves to commemorate the first anniversary of the First African American President in the history of our great nation. 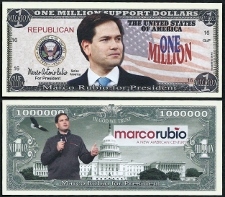 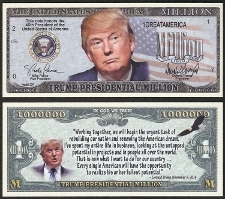 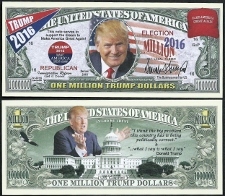 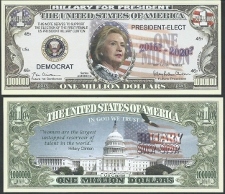 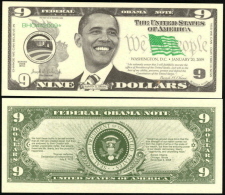 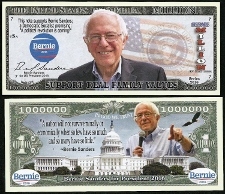 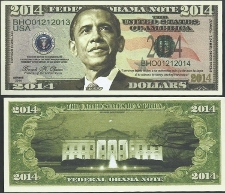 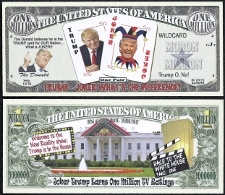 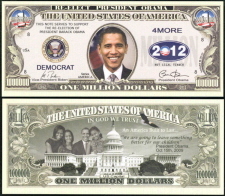 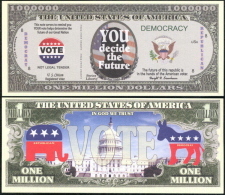 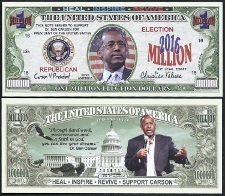 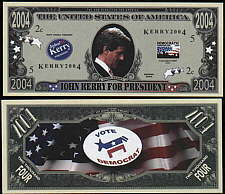 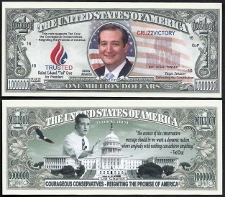 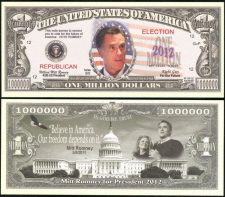 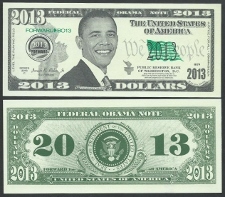 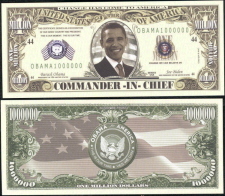 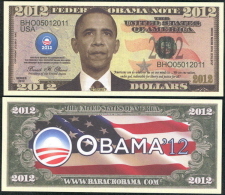 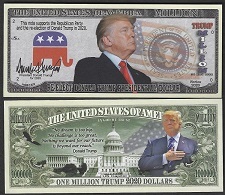 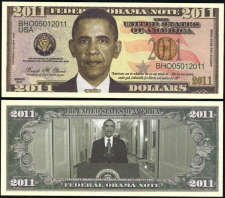 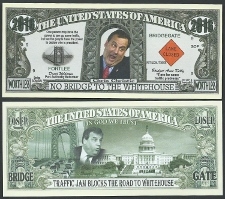 Obama Eight Dollar Bill "Take Back America"
With Mt. 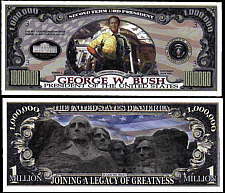 Rushmore on Back!! 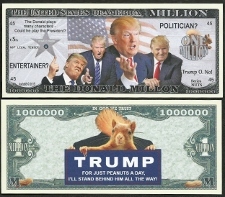 The Donald plays many characters. 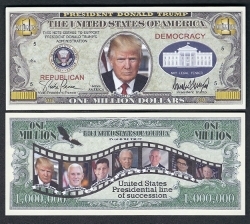 Can he play the President?